With a history dating back more than 100 years, Transamerica is a leading provider of insurance, retirement, and investment solutions, serving millions of customers throughout the United States. 28 March 2019 - BALTIMORE, MD - Transamerica announces today that it received a score of 100 percent from the Human Rights Campaign Foundation on its annual Corporate Equality Index (CEI). 25 March 2019 - BALTIMORE, MD - Transamerica announced enhancements to its current fixed index annuities and the launch of a new product suite in an alliance with Annexus to expand distribution. 21 March 2019 - BALTIMORE, MD - Transamerica announces today that it has entered into an agreement with LTCG, an independent third party administrator, to transfer the administration and claims management of its long term care insurance business line. 21 March 2019 - DENVER, CO - Transamerica Asset Management, Inc. today announced the launch of the DeltaShares® S&P EM 100 & Managed Risk ETF, an expansion of the DeltaShares by Transamerica suite of strategic beta exchange-traded funds (ETFs) introduced in August 2017. 4 February 2019 - BALTIMORE, MD - Transamerica announced today the reopening of the Transamerica International Small Cap Value Fund Class I (TISVX) to new investors, effective immediately. 11 January 2019 - BALTIMORE, MD - Transamerica announced today the opening of the Innovation Zone, a state-of-the-art lab in Johns Creek, Georgia where agents are welcome to review new technology as well as test and offer feedback on the future of these platforms. 10 January 2019 - BALTIMORE, MD - Transamerica announced today that it received the 2018 DALBAR Annuity Service Award, and is recognized as a leading provider that consistently delivers best-in-class telephone service experience for contract holders. 19 December 2018 - BALTIMORE, MD - Transamerica announced today the promotion of Joe Boan to chief sales officer. In this new position, Boan will oversee the wholesale distribution teams for Transamerica’s individual and workplace markets. He will report to Dave Paulsen, chief distribution officer for Transamerica. 6 December 2018 - BALTIMORE, MD - Transamerica today announced the availability of new navigation tools to help Spanish-speaking participants use its retirement plan website. Plan sponsors of workplace retirement plans may now elect to enable participant website navigation in Spanish, as well as full translation of select pages. 27 November 2018 - BALTIMORE, MD - Transamerica today announced that Timothy Jones joined the company as Head of Innovation. Mr. Jones will drive Transamerica’s growth by developing new uses for advanced technology, allowing the company to design unique and meaningful products and experiences for customers. He will report to David Hopewell, Transamerica’s Chief Data and Innovation Officer. 14 November 2018 - BALTIMORE, MD - Transamerica today announced new tools centered on helping people and their loved ones navigate the many decisions and actions that must be made after cancer diagnosis and treatment. The informational guides are written by Dr. Bill Lloyd, an active, licensed physician who is also a board- certified surgeon and pathologist. 23 October 2018 - BALTIMORE, MD - Transamerica announced today the availability of “Impact of Employee Health on Business Success,” a research paper that provides analysis and recommendations for creating effective workplace wellness programs. The white paper alerts employers to risk factors and mitigation of chronic health conditions. 24 July 2018 - BALTIMORE, MD - Transamerica was named to the Diversity Best Practices Inclusion Index by Diversity Best Practices. Transamerica was among the 73 organizations that earned a score of at least 65% and a place on this year's index. 28 February 2018 - BALTIMORE, MD – Transamerica Intermediate Muni class I shares (TIMUX) has won a 2018 Lipper Fund Award in Lipper’s Five Years Intermediate Municipal Debt Funds category. The Lipper Fund Awards recognize funds that have excelled in providing consistently strong risk-adjusted performance relative to their peers. This is the second time in three years this fund has been recognized with a Lipper Award. 5 February 2018 - BALTIMORE, MD – Transamerica today announces a new Wealth + Health brand identity focused on helping customers improve their overall well-being by effectively managing both their wealth and their health. 31 January 2018 - BALTIMORE, MD – Addressing customers’ objectives for security and flexibility in their retirement planning, Transamerica has made enhancements to the Transamerica Retirement Income Max® living benefit rider available with most Transamerica variable annuities. 29 January 2018 - BALTIMORE, MD – Transamerica today announces the creation of a distinctive customer experience model specially designed to help larger healthcare employers better deliver benefits to their employees. 11 January 2018 - BALTIMORE, MD – Transamerica today announced that it has entered into an agreement with Tata Consultancy Services (TCS) to transform the administration of Transamerica’s insurance and annuity business lines in the U.S. The partnership enables Transamerica to accelerate the enhancement of its digital capabilities and the modernization of its platforms to service its customers in all lines of business. The agreement, a multi-year partnership with more than USD 2 billion of revenues to TCS, is expected to be completed by the second quarter 2018. 30 November 2017 - BALTIMORE, MD – Transamerica today revealed the latest annual survey findings of retirement plan trends for healthcare institutions. The survey results provide an inside look into the challenges healthcare institutions face to attract top talent in a changing environment and help ensure a stable retirement for staff. 20 November 2017 - BALTIMORE, MD – Transamerica today announces the appointment of Frank Sottosanti as Chief Marketing Officer. In this role, Sottosanti will lead Transamerica’s marketing, brand management, digital platforms, content delivery, innovation effort and channel marketing support for the organization’s distribution strategy. 10 November 2017 - BALTIMORE, MD – Transamerica today revealed the latest annual survey findings of retirement plan trends for Higher Education institutions. Among the many findings, the survey revealed Higher Education institutions are beginning to adopt the retirement plan features shown to be popular by the corporate sector. 9 November 2017 - BALTIMORE, MD – Transamerica received a perfect score of 100 percent on the 2018 Corporate Equality Index (CEI), a national benchmarking survey and report on corporate policies and practices related to lesbian, gay, bisexual, transgender and queer (LGBTQ) workplace equality, administered by the Human Rights Campaign Foundation. 26 October 2017 - DENVER, CO – Officials from Transamerica will preside over the famed opening bell ringing ceremony at the New York Stock Exchange on Monday, Oct. 30, in recognition of the recent launch of the DeltaShares by Transamerica® suite of strategic beta exchange-traded funds (ETFs). MEXICO CITY, MX - Aegon NV and its subsidiary Transamerica have joined forces with Administradora Akaan to create an asset management company named Akaan Transamerica. Akaan Transamerica has recently received formal approval from the Mexican Banking and Securities Commission (CNBV) to initiate operations and go to market. DENVER, CO - Transamerica Asset Management, Inc. today launched the DeltaShares by Transamerica suite of strategic beta exchange-traded funds (ETFs). The DeltaShares suite includes four ETFs designed to provide core equity strategies with an embedded risk-management feature. DeltaShares by Transamerica are the first and only suite of ETFs that track the S&P Managed Risk 2.0 Index Series so that investors can track the performance of a given segment of the equity market while seeking to control volatility. BALTIMORE, MD - Addressing customers’ desires for simplicity, flexibility and cost efficiency in their retirement planning, Transamerica has made enhancements to the Transamerica Income EdgeSM living benefit rider, along with launching two new lower cost investment options. BALTIMORE, MD - Transamerica today announces the Transamerica Sage Cash Balance Solution to help small and mid-size businesses with retirement planning. An employer that sponsors a cash balance retirement plan will consult with the plan’s advisor to select one of three investment solutions independently managed by Sage Advisory Services. The growth, moderate or conservative investment strategies are designed and managed to meet common cash balance plan objectives, including principal protection, common interest crediting rate targets, and an awareness of the annual investment time horizon. BALTIMORE, MD - Transamerica today announces the availability of a new, first-of-its-kind, hospital indemnity insurance policy designed specifically for hospital systems and provider-owned health plans. Transamerica Provider SelectSM supplemental insurance policies pay double cash benefits when employees’ hospital care is received at a treatment center designated by the employer. Transamerica Provider Select is designed for use by national and regional hospital systems, hospital-owned health plans, or any employer looking to potentially reduce medical plan premiums and help employees better manage their out-of-pocket medical costs by using preferred treatment centers. 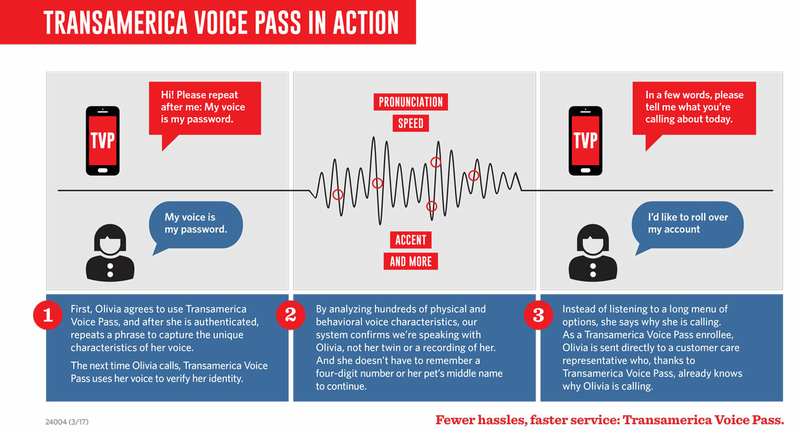 BALTIMORE, MD - Transamerica announced today that it is launching Transamerica Voice Pass, a first-of-its-kind feature developed with Nuance Communications, Inc., that increases security and enhances the customer experience by leveraging voice biometrics technology within a natural language understanding system. Customers calling Transamerica’s customer care service centers will be able to more easily and securely authenticate and access their accounts while also identifying the reason for their call, simply by speaking. BALTIMORE, MD - Transamerica will host a webinar for financial professionals, consultants and third party administrators that addresses various facets of the pending U.S. Department of Labor (DOL) Fiduciary Rule and its potential impact on those in the financial services industry. The webinar will be held March 30 at 12 p.m., EDT. BALTIMORE, MD - Aegon Asset Management U.S. announces the closing of Garnet LIHTC Fund XLVIII, LLC, a $105 million national, low-income housing tax credit fund. This is the 51st fund offering sponsored by Aegon USA Realty Advisors, LLC (“AURA”), a member company of Aegon Asset Management, and the global investment management division of the Aegon Group. In addition to sponsoring the fund, AURA will also provide ongoing fund oversight and asset management services for the life of the fund. BALTIMORE, MD - Transamerica is capitalizing on recent strong market conditions to the benefit of its customers who purchase fixed index annuities. Transamerica now offers index account cap rates ranging from 2.25% to 4.35%. BALTIMORE, MD - Transamerica is launching the Transamerica Variable Annuity I-Share, a fee-based variable annuity that offers investors and their advisors additional flexibility in planning for retirement. BALTIMORE, MD - Transamerica announced today that it will host a webinar for financial advisors, consultants and third party administrators that explores how they can create and deliver meaningful and memorable experiences that exceed their clients’ expectations. The webinar will be held Dec. 13 at 12 p.m., EST. BALTIMORE, MD - The new optional living benefit allows lifetime income payments after age 59, and offers investors the opportunity for up to a 6% annual income payment rate for life if they begin drawing income anytime between ages 65 and 79. BALTIMORE, MD - Transamerica is expanding enrollment options for key employee benefits through a new relationship with Maxwell Health (Maxwell), a leading HR and benefits technology platform and marketplace that simplifies HR for small- to mid-size employers across the country. BALTIMORE, MD - New research results gathered by Transamerica indicate that the majority of investors want their financial advisors to factor in health matters while building their financial future, and that effective communication between investors and their advisors is a key component in successful retirement planning. BALTIMORE, MD - Transamerica Retirement Solutions today announced the HigherEd Retirement ConsortiumSM, a new 403(b) multiple employer retirement plan designed to help private colleges and universities merge their employee retirement plans in order to simplify plan administration, manage fiduciary responsibilities, take advantage of expert plan management, and receive economies of scale in administrative and investment pricing. BALTIMORE, MD - “The Defined Benefit Plan Continuum” provides guidelines and direction to organizations, advisors and consultants in effectively evaluating options and choosing a course that lowers their defined benefit plan costs while mitigating risks that might potentially affect their company’s bottom line. BALTIMORE, MD - More than 300 Transamerica employees will help build or repair homes in eight cities across the United States this year in partnership with Habitat for Humanity. This is the company’s fifth consecutive year of partnering with Habitat, a global nonprofit that helps families build strength, stability and self-reliance through shelter. BALTIMORE, MD - Transamerica is named as an Elite 100 company by InformationWeek for its use of technology and innovation in mapping the customer journey. Transamerica ranked 33rd in InformationWeek’s list of top business technology innovators as a result of its Enterprise Marketing and Analytics Platform project. 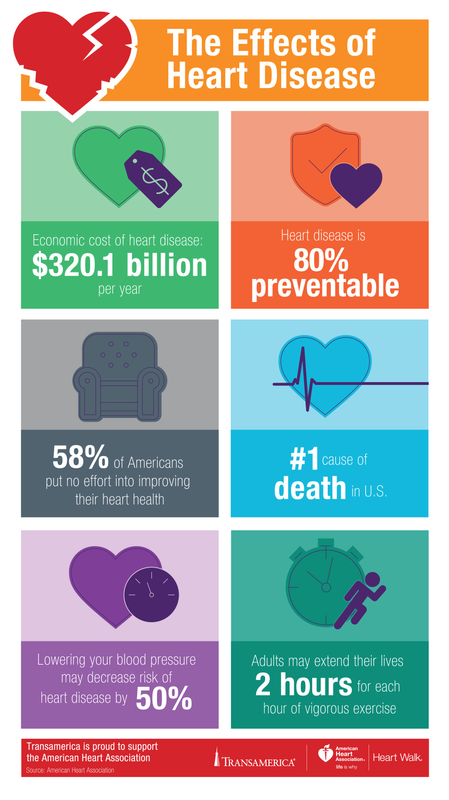 BALTIMORE, MD - Transamerica has entered into a three-year partnership with the American Heart Association (AHA) to promote the habits of healthy eating and heart-healthy lifestyles as integral to achieving a sound financial outlook. BALTIMORE, MD - Transamerica Intermediate Muni fund has won a 2016 Lipper Fund Award for its class l shares (TIMUX). The Lipper Fund Awards recognize funds that have excelled in providing consistently strong risk-adjusted performance relative to their peers. BALTIMORE, MD - Transamerica announces three new variable annuity investment options. These new options are offered as part of a commitment to provide a full array of investment solutions for financial advisors and investors. BALTIMORE, MD - Survey of more than 250 higher education plan sponsors shows that institutions with advisors have more effective retirement benefit programs. Cedar Rapids, Iowa – Aegon Asset Management announced today the appointment of Ainsley Borel as Director of U.S. Consultant Relations, a new role at the firm. Aegon Asset Management is the global, active investment management arm of Aegon N.V., with centers of investment expertise in Europe and the United States and distribution across the Americas, Europe and Asia. HARRISON, N.Y. — The latest study conducted by Transamerica Retirement Solutions examining trends in retirement plans with $25 million to $1 billion in assets reveals a sea change for the retirement industry: an increasing number of retirement plan sponsors will automatically enroll participants at higher default contribution rates over the next few years to help them better prepare for retirement. Cedar Rapids, Iowa - Aegon Asset Management announced today the appointment of Ron Shortenhaus as Director of U.S. Consultant Relations, a new role at the firm. Aegon Asset Management is the global, active investment management arm of Aegon N.V., with centers of investment expertise in Europe and the United States and distribution across the Americas, Europe and Asia. Harrison, NY – Transamerica Retirement Solutions has launched a new 401(k) retirement plan that offers large-plan features to smaller businesses and their employees. Baltimore, M.D. – Transamerica Financial Advisors, Inc. (TFA), and John Hancock Financial Network, Inc. (JHFN), a distribution channel of John Hancock, today announced that they have entered into a definitive agreement for John Hancock to acquire certain assets of TFA, a full service, independent broker dealer and registered investment adviser based in St. Petersburg, Florida. AMSTERDAM — Aegon, through an affiliate of its Transamerica unit, has reached an agreement with Mercer HR Services, LLC to acquire Mercer's US defined contribution administration book of business. BALTIMORE, MD – Transamerica announced today it is supporting two athletes who will compete in the Special Olympics World Games Los Angeles 2015: tennis player Adilson Silva from Brazil and track-and-field athlete Sanne Jone Hoedeman from the Netherlands. The LA2015 World Games will be held from July 25 – August 2, 2015 in Los Angeles, and will be the largest sports and humanitarian event in the world this year. DENVER, CO - Transamerica announces that it will host “Your Outlook for the Future: 6 Steps in the Retirement Planning Process,” a free educational web seminar outlining the essentials of retirement planning. The event will be held on July 15 at 1 p.m. ET, and is open to anyone. HARRISON, N.Y. - Transamerica Retirement Solutions today announced a new workplace retirement plan program with Merrill Lynch that will enable the wealth management company to expand its options for not-for-profit organizations. This new program will mark the first time Transamerica has offered a 403(b) retirement plan program with Merrill Lynch. LITTLE ROCK, Ark. – Transamerica is pleased to announce the launch of CriticalEvents® – critical illness insurance that helps to ease the financial burden of a major health event. This is the latest addition to a broad portfolio of products that allows employers to equip their employees with solutions to help Transform Tomorrow®. Denver, CO - Transamerica today released The Caregiver’s Guide to Financial Planning in the Shadow of Dementia, in partnership with the Massachusetts Institute of Technology (MIT) AgeLab. The guide helps caregivers navigate financial decisions on behalf of family members living with Alzheimer’s disease or other types of dementia. ST. PETERSBURG, FL – Transamerica Financial Advisors, Inc. (TFA) announced today that Seth Miller, President, has been named CEO. George Chuang, Managing Director of TFA’s Registered Investment Advisor, has been promoted to President. San Francisco, Calif - The U.S. Green Building Council (USGBC) just awarded 505 Sansome Street, part of the Transamerica Pyramid Center, the highest certification in environmental sustainability – LEED Platinum. Harrison, NY - Transamerica Retirement Solutions today announced the hiring of Mark Valentine as vice president of defined benefit sales and business development for the East Coast. Mr. Valentine has more than twenty years of retirement industry experience with extensive experience in the defined benefit, 401(k), and 403(b) markets, covering the large, mid, and small markets. Before joining Transamerica, Valentine was vice president of retirement plan sales and consultant relations for BB&T’s Retirement and Institutional Services division. Baltimore, MD - Since it began underwriting Medicare Part D plans, Stonebridge Life Insurance Company (a Transamerica Company) has consistently received a 4-star rating from the Centers for Medicare and Medicaid Services (CMS) while pursuing a strategic growth strategy. The composite plan, made up of individual and group solutions, recently received a 4-out-of-5 star rating from CMS for plan year 2015. Little Rock, Ark. – Transamerica Employee Benefits is expanding its enrollment options for employers with the help of a leading cloud-based software solution provider. The platform brings simplicity to the enrollment process for employees while integrating valuable education tools. Harrison, N.Y. - Higher Education institutions are responding to the shifting retirement landscape by adopting practices more commonly seen in the corporate sector, such as working with plan advisors, monitoring the retirement readiness of employees, implementing automatic enrollment features and streamlining retirement plans, according to a research report released today by Transamerica Retirement Solutions. The report, Retirement Plans for Institutions of Higher Education, was created from interviews with 117 retirement plan sponsors in the Higher Education sector. Cambridge, MA - Transamerica and the Massachusetts Institute of Technology (MIT) AgeLab today highlighted the significant issues facing individuals and families affected by Alzheimer’s disease and dementia during a day-long symposium in Cambridge, Mass. The symposium, titled “Financial Planning in the Shadow of Dementia,” brought together academic experts, caregivers, physicians, Alzheimer’s Association representatives, Transamerica management and financial professionals to discuss family dynamics, as well as the physical, personal and financial impacts of Alzheimer’s on the afflicted and their families. Harrison, N.Y. - Transamerica Retirement Solutions, a sponsor of the Institute for Diversity in Health Management (“the Institute”), is pleased to announce the recipients of the 2014 Leaders in Health Care Scholarship. This year’s winners, Sheryl Muirhead-McCrae and Tina Huynh, will each receive a $5,000 scholarship toward pursuing an advanced degree in health care administration. Baltimore, MD - Transamerica has undertaken a program to merge and rename certain of its statutory insurance companies to further leverage the strength and distinctiveness of its iconic brand. The majority of the rebranding program, which is subject to regulatory approval, is expected to be completed later this year. Harrison, NY – June 25, 2014 - Transamerica Retirement Solutions was recently recognized as a “Best in Class” retirement plan provider by plan sponsors in Chatham Partners’ 2013 Client Satisfaction Analysis. Baltimore – March 13, 2014 - Transamerica continues to provide exceptional value to Medicare customers by obtaining a 4-star Medicare Part D rating from the Centers for Medicare and Medicaid Services for 2014. Baltimore, MD – October 22, 2013 – Delivering value to Medicare consumers through two new plans. Los Angeles, CA – October 2, 2013 - New study examines employer-sponsored benefits, workers' retirement outlook, and offers recommendations. Los Angeles, CA – September 20, 2013 – Influential Nonprofit Research Organization Now to Analyze Health Care in Addition to Retirement. Baltimore, MD – July 15, 2013 - Transamerica, a national leader in retirement planning, life insurance and investments, today announced a long-term research collaboration with the Massachusetts Institute of Technology's (MIT) groundbreaking AgeLab. Los Angeles, CA - June 11, 2013 - Tom Watson, an eight-time major champion and one of golf's more distinguished legends, today became the latest player to join Team Transamerica. Los Angeles, CA - May 31, 2013 - Today, Transamerica announced that Azahara "Aza" Muñoz, 2010 LPGA Rookie of the Year and winner of the 2012 Sybase Match Play Championship, is the newest member of Team Transamerica. Harrison, NY - May 1, 2013 - Transamerica Retirement Solutions today announced "The Retirement ExchangeSM," a new retirement plan solution designed to help more small businesses offer workplace retirement plans to more employees, and to help employees save for retirement at higher rates. Denver, CO - March 21, 2013 - Transamerica Asset Management announced today that its Transamerica Small/Mid Cap Value (Class A) fund received the 2013 Lipper Fund Award for Best Mid-Cap Value Fund for the 10-year period. The fund, which opened in 2001, is sub-advised by Systematic Financial Management, LP, and ranked best out of 30 contenders in the Lipper Mid-Cap Value category. The fund's ranking was based on its ability to provide superior consistency and risk-adjusted returns over a 10-year period against a group of similar funds as of November 30, 2012. Baltimore, MD - February 21, 2013 - Transamerica Affinity Services, announced today that its Part D plan, Medicare GenerationRxSM (Employer PDP) has increased membership and will cover over 120,000 members for 2013. Baltimore, MD - January 7, 2013 - Transamerica's Financial Solutions Group announced the opening of its Transamerica Learning Center (TLC). TLC was built to provide financial institutions with easy access to training modules and certification for various Transamerica products, services and skill-sets to effectively grow business.